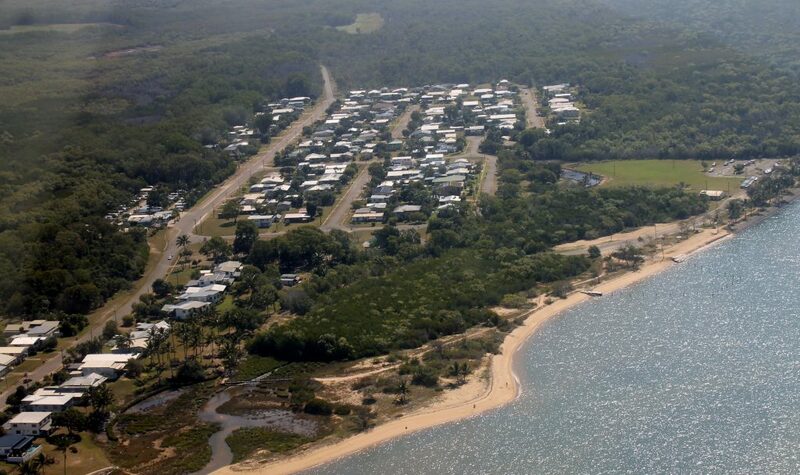 Taylors Beach Holiday Park offers pet friendly caravan and tent sites as well as cabin accommodation. The peaceful beachside community of Taylors Beach is located in the Hinchinbrook Shire, North Queensland. We are 130km north of Townsville and just 20 minutes off the highway on the coast from Ingham. Established many years as a fisherman’s paradise, it provides the perfect place to relax and unwind or explore the islands of Hinchinbrook, Pelorus, Orpheus and Palm Island group. With the island and fringing reefs so close, Taylors beach is a popular fishing destination for many. The Park is only 300m from the water and 500m to the local 2-lane concrete boat ramp situated on the beautiful sandy Victoria Inlet which offers great beach and estuary fishing and crabbing. The nearby islands offer snorkelling and fish feeding opportunities. The foreshore of Victoria Inlet provides free barbecue facilities, childrens’ playground and a stinger net for safe swimming during the summer months. Local attractions include Australia’s largest single drop waterfall – Wallaman Falls, Jourama Falls, Broadwater State Forest, Hinchinbrook Island National Park, Orpheus Island National Park and Mount Fox volcano. Resident owners, Brett & Kerryn, will greet you with a friendly welcome and ensure that you have an enjoyable stay.